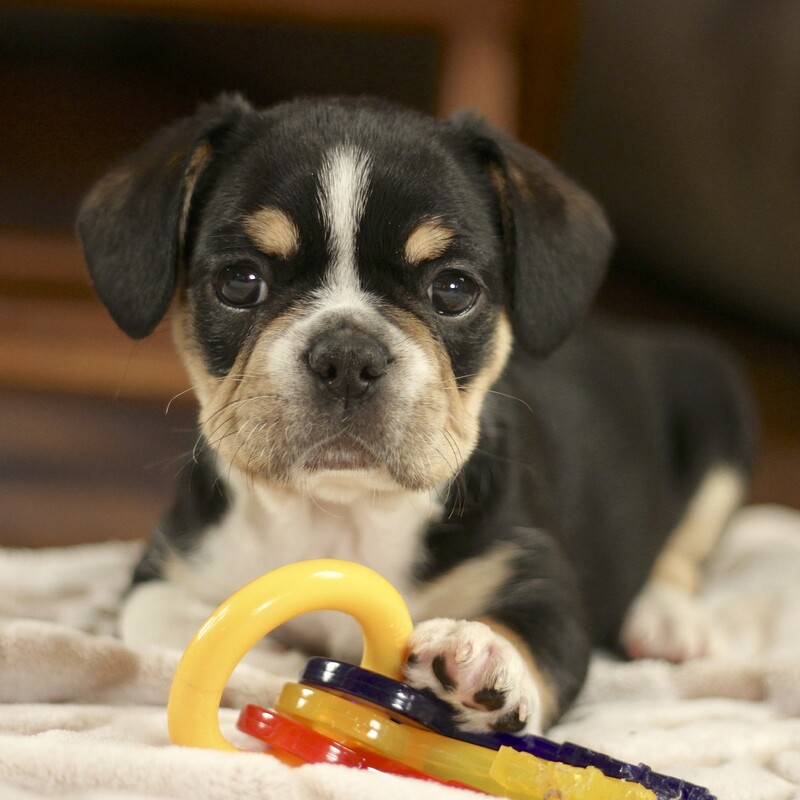 Though there is a broader accepted body style and appearance of Royal Frenchel Bulldogs helping to account for their stupendous health history, the traits they ALL share are remarkable. All Royal Frenchel’s, no matter their look, size, coat… are Exceptional Companions. These traits are shared by them all. 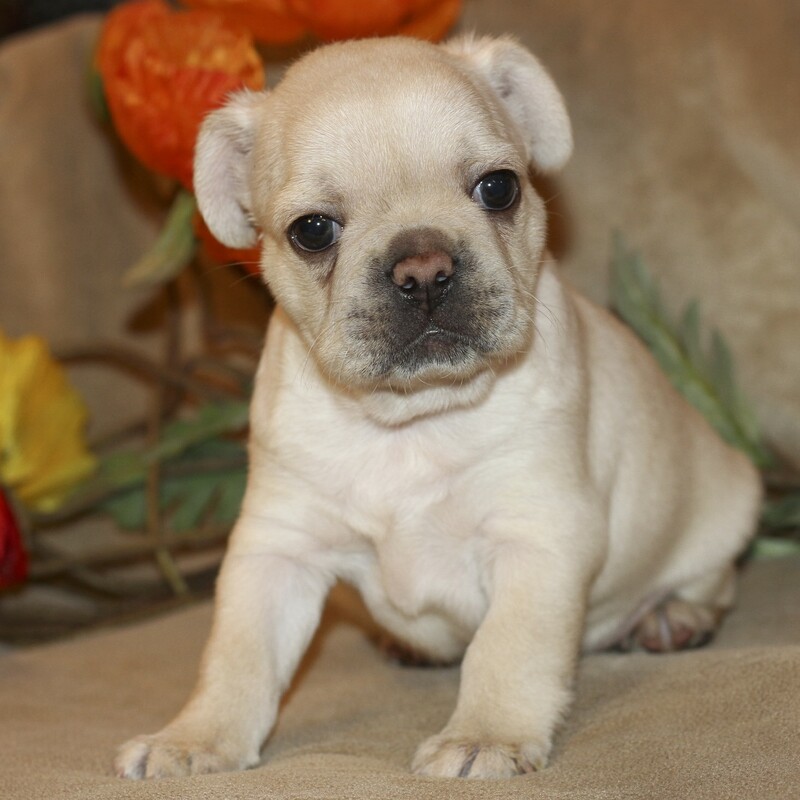 Also, if you are interested in the traits of those who most often adopt Royal Frenchel Bulldogs enjoy “Royal Family Traits”. Royals are uniquely intelligent as what inspires them most is to do right by you. So, they use their smarts to do just that! And as a result, they swiftly become your dearest friend and hands down, the best companion you have ever known. They simply want to do what you want them to do. They also enjoy games, learning words and hand signals and respond best to affection instead of food as treats. This makes training simple as long as your consistency honors their abilities. High intuition is the mark of a great service dog and Royals rank among the highest here. Their innate ability to know what you need whether you have special needs or are challenged at the end of a long day, make them uniquely attentive friends whose timing and good care is always impeccable. Royals are extremely affectionate. They love to love. They talk through their various types of snuggle tugs and sweet play. Often Royal Families as they are called, remark about their beginning and end of day rituals marked by snuggles, play and laughter. They are affectionate with friends and extended family as well, making it easy to take them anywhere while creating lasting relationships with those in your life. 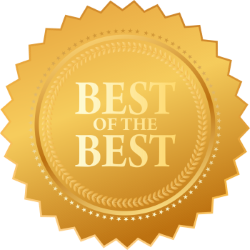 Awarded Top Dogs from Farmers Insurance and Pets Best Insurance companies for Royal Frenchel’s great health & long lives. They are built to last with greater agility, breath and general stature putting them at less risk than their brothers in the Bulldog world. Royal Frenchel Bulldogs enjoy exceptionally long lives,16 to 20 years expectedly depending on their size. The smaller the dog the longer the life expectancy. The Royal Frenchel personality is loyal, loving, affectionate, playful & alert, wanting only the the best for their friends & families. This is why they are so easy to train as they want to do what you want most. If they can “get” you, then it is easy street all the way! Royal Frenchel’s are almost effortless to train. They desire to do as you please making them easy to teach social manners, tricks and travel etiquette in no time. Housebreaking is generally less than a week. Again, as long as your consistency honors their ability you will never know an easier or more joyous life with a dog than a Royal Frenchel. Royal Frenchel’s enjoy making special friends and being strongly committed to their families to include other pets in the family. The take interest in new people and animals and respond well to those with special needs. Sturdy, Confident and easy going dogs are hard to find and yet you can pretty much count on that with your Royal Frenchel. 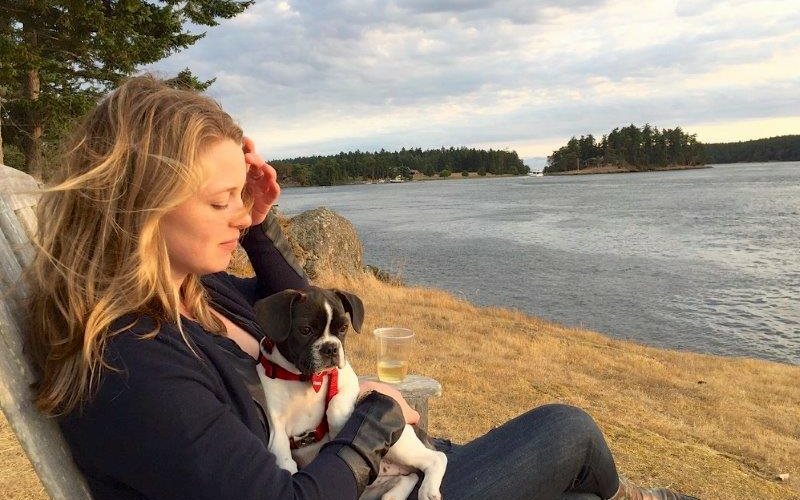 They make going to new places and meeting new people a joy while you bask in the clamor of having such a “celebrity” dog! Everyone loves a Royal Frenchel and if you go out with one in public, you soon meet new people to add to your newfound friend list as they approach regularly to meet your dog ~ And your Royal loves it too! 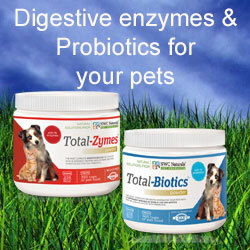 Allergy sufferers are happy to learn that Royal Frenchel’s offer them a great choice of dog without the pain of allergies. Many Children’s Hospital children with allergies have enjoyed a dog for the first time with their Royal Frenchel. Regular 22 to 28 lbs, Small 14-21 lbs., Micro Mini 6 to 14 lbs. 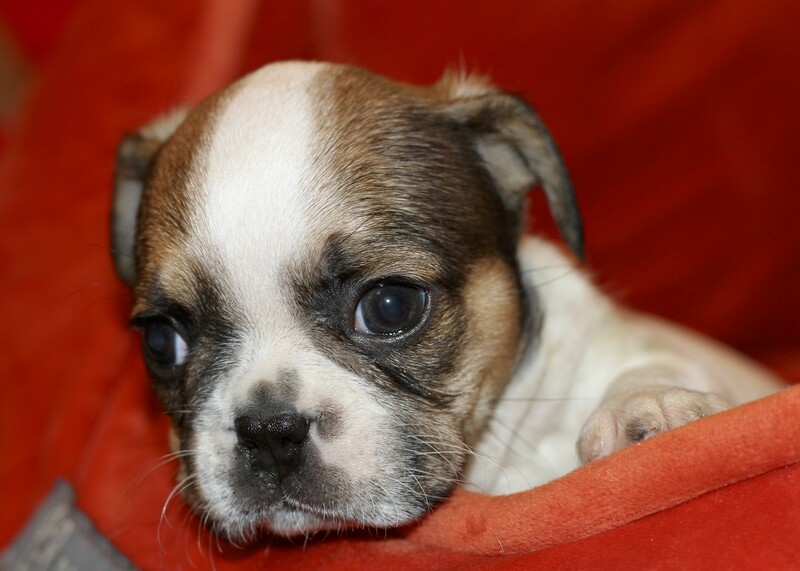 Micro Mini Royals are the smallest Bulldogs in the World and live the longest of any bull breed. They are extremely agile and easy to travel with like all Royals. However, the Micro Mini size makes them far easier to get around with and their extremely long life a treasure to enjoy. The regular coat is like a Frenchie, smooth and yet you can feel its texture. The silkie coat is incredibly soft like silk. For some silkies there are tufts behind the ears and haunches. However, their legs and feet do not have tufts of hair so they stay clean while playing outside. Some silkies do not have any tufts of hair and are simply smooth as silk. Royal have 2 body styles. The other body style is Lean Muscular Bully like an old time Boxer (stocky) in miniature form. Royals ears come with 2 ears Up, 2 ears Down or One Up & One Down! Everyone loves their ears as they are very expressive, moving with their mood and passionate interests. Like celebrative flags in a parade, Royals ears let us all know what’s happening. They are especially fun, funny and happy, ears up or down. Royal Frenchels have only one layer of hair in their coat which is not terribly thick. So, winter time cold calls for coats and sweaters which make it a fun colorful time of year. Royals shed moderately with any size or coat. 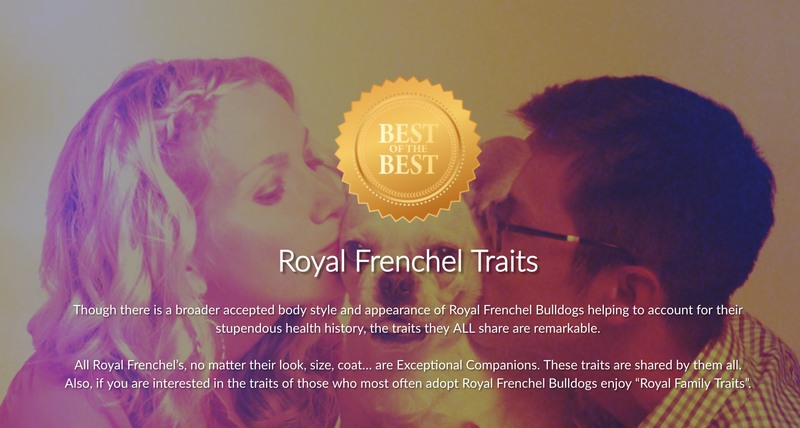 The different sizes of Royal Frenchel’s allow you to choose the dog that best suits your lifestyle. A Royal being a smaller dog requires less exercise overall, though the regular size Royal is a great camping and trekking dog. All Royals do well with a moderate exercise routine which is easily maintained with good runs in the yard and house play. They also, enjoy the outdoors as well. Many people with special needs use Royals to gain support for various life circumstances. Those with: seizure disorders, PTSD Military, Autism, Children, Seniors and others find Royal Frenchels their do of choice. Due to a Royal Frenchel’s ease and serviceability, they also make great work dogs accompanying many people to work in offices all over the nation. It is a known fact now thanks to formal studies that dogs increase productivity in the work environment. A Royal Frenchel pup makes the best service dog for senior dogs or disabled dogs who have lost their joie de vivre. Many dogs lose their best friends due to old age ills. When not just any pup would do, a Royal moves right in with it’s highly intuitive and compassionate nature igniting a new relationship with the grieving dog. Then once again, through the constancy of the Royals attention and care, the older dog gains a second chance at a happy life with their new found friend, their Royal. Traveling comes easy with a Royal Frenchel. Not only do they love to travel, their desire to do as you wish makes them well mannered cohorts for any journey you choose. Manners come easy to them as they await your move to. Due to their size and easy nature, Royals do extremely well in apartment life. It is easy to train them to the treats and toys relevant to their happy life with you. Royals are not destructive animals by nature. As long as they get their relationship time in daily, they are happy and easy to maintain. They enjoy their outings with you as their intelligence calls for variability and stimulation. Royals hands down require less care than other breeds which includes veterinary care, food costs, challenges with training and travel. Their sturdy nature makes changes and transitions easier. They are far less fragile than other bulldogs making it easier to take them with you at will as they typically do not suffer breathing issues, spinal fragility or other ills. 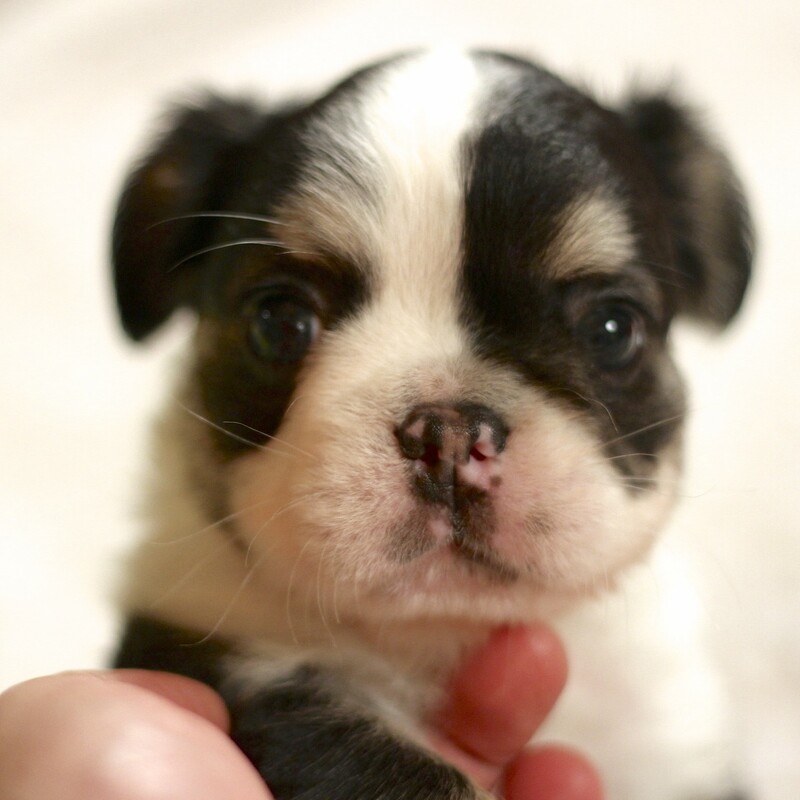 The Micro Mini Royal Frenchel Bulldog is the most astounding, as they become almost like a magical apendage, moving about with you with agile confidence. They eat little and they typically love the newness and adventure of traveling around with you. All these traits listed apply to the Micro Mini Royal Frenchel Bulldog, the smallest bulldog in the world and the longest lived to boot! Follow Royal Frenchel on social media to keep up on all things Royal!